You get it all here. Beautiful Mountain Views and the view of Douglas Lake and the Dam. There is also a Pavilion there which will seat 50 easily. We can supply more chairs and tables to increase the number to over 100. Some folks choose to have it plain and simple. After all, it is beautiful just the way it is. Some folks order a decorated arch or even our Greek Corinthian Columns. 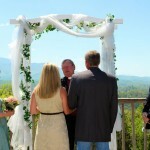 This location is also available for just a couple or a few guests. 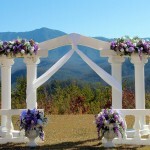 Our wedding planner will help you with this location. 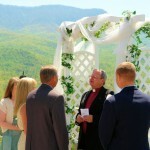 Larger weddings require a nominal permit fee to reserve the whole location including the pavilion. 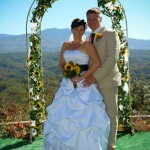 If you have a large party and want a reception AND you are on a small budget, this is your place. We cater to the site. 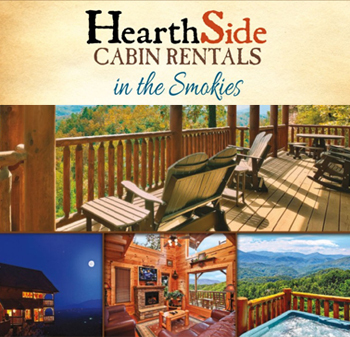 The perfect accommodations for your getaway in the Great Smoky Mountains. 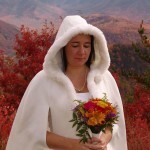 Deer Ridge Mountain Resort in Gatlinburg is nestled in the heart of National Park. 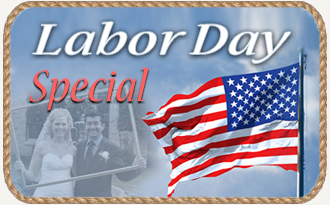 Our lodging includes 1 and 2 bedroom condominiums and cabins, some with lofts. All condos have private balconies for enjoying “The Best Views of the Smokies.” Deer Ridge Mountain Resort is located in the quiet community of Cobbly Nob, just twenty minutes from downtown Gatlinburg and the Great Smoky Mountains National Park. 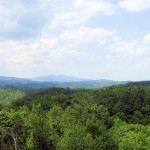 Gatlinburg is one of the top vacation destination resort areas in the entire country! Relax in the swirl of the Jacuzzi or the heat of the sauna & steam room. Take a dip in our refreshing indoor pool, just adjacent to our Sun Deck. Enjoy three outdoor pools located in Cobbly Nob during June, July, and August. Stretch to your limits on our lighted tennis court. Bent Creek Golf Resort is located in the valley just below Deer Ridge. Take in a movie from our selection of movie rentals or a book from our library. Challenge your friends to a game of pool or arcade video game. Gather your family to socialize on our half-acre family playground area complete with playhouse, swings, basketball court, horseshoes, picnic tables, grills, and pavilion. Breath Taking – Isn’t It? The Highlands burnt down at the great fire in November 2016. We leave it up here in hopes it will be re-built soon. 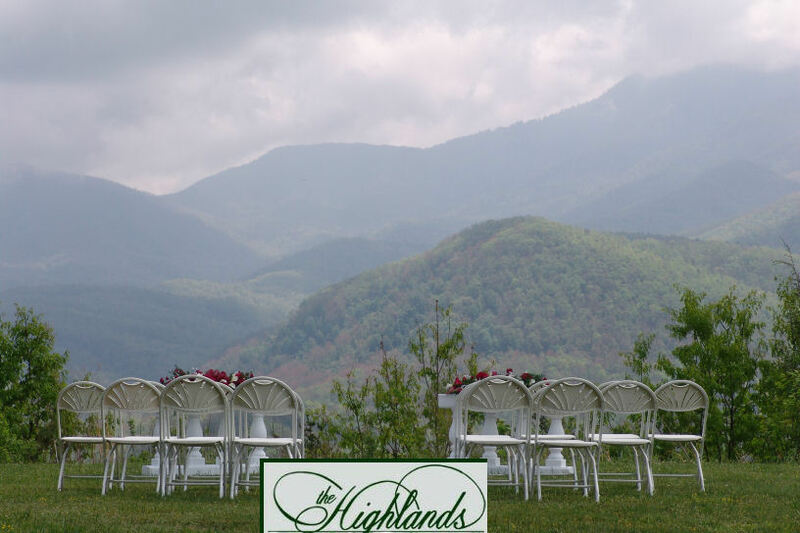 This is the typical view at a Highlands Garden Wedding. 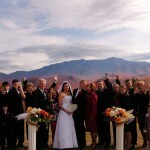 Your wedding is high in the mountains looking out at mountains below you and above you. Sometimes the clouds come through as a light mist adding a “heavenly” ambiance. 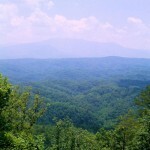 The Highlands is close to every main attraction in Gatlinburg. One can also watch the cable car going up to Ober Gatlinburg. 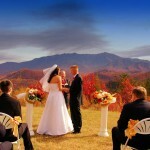 Spring and Autumn are the most glorious times of the year for a wedding. 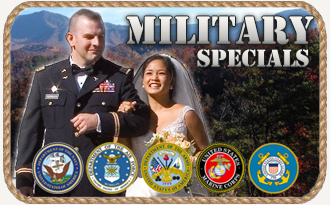 We can accommodate up to 100. 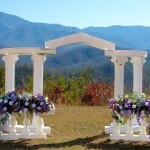 You can add Greek columns or an arch decorated in your colors. We have added so more pictures below. 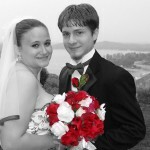 We can also plan and provide your reception. The experience and memories are priceless. 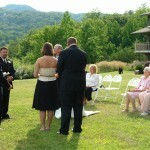 This simple ceremony is performed by an ordained minister. Feel free to bring your own cameras. 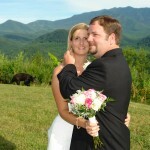 The minister will be more than happy to take some memorable pictures for you. 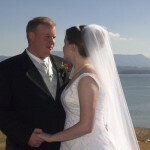 There are many inexpensive upgrades for this package such as heart shaped cake, wedding bouquets and your own personal web page with your digital pictures online for your friends and family to see, print or save. 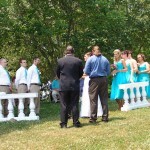 This lovely ceremony is performed by an ordained minister. With this package, receive 20 4×6 photographs in unique poses. Included is a beautiful 6 inch heart shaped wedding cake. A bottle of non alcoholic champagne and 2 glasses are provided for a toast. 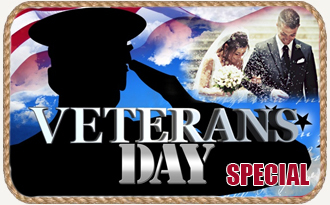 There are many inexpensive upgrades for this package including wedding bouquets, additional pictures, limousine service and even a romantic carriage ride following the ceremony. 2. Thirty 4 X 6 Pictures in unique poses. These pictures are taken by our experienced in house photographers with state of the art 8 and 10 mega pixel Sony Cameras. Recommended Extra: Your Personal Web Page for family and friends to see.